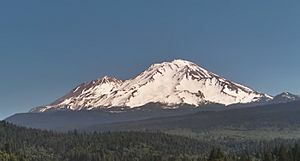 Mount Shasta is a dormant volcano in northern California in the United States. The volcano is part of the Cascade Range. It has a smaller peak abutting it, Shastina, and seven glaciers. 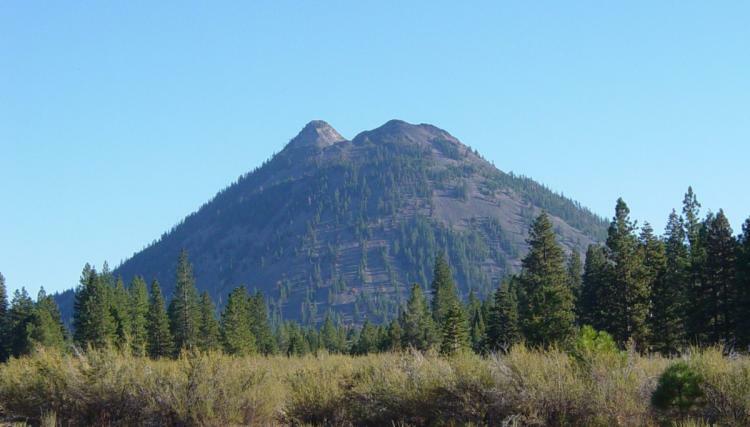 The mountain stands alone in a large expanse of flatter land, rising 9,822 feet above the surrounding terrain. The Sacramento River flows south near the west edge of the mountain. The town of Mount Shasta and Shasta Lake Reservoir, formed by Shasta Dam, are all named for Mount Shasta. This stratovolcano is expected to erupt again someday. Mount Shasta's west face as seen from Hidden Valley high on the mountain. The west face gulley is an alternate climbing route to the summit. 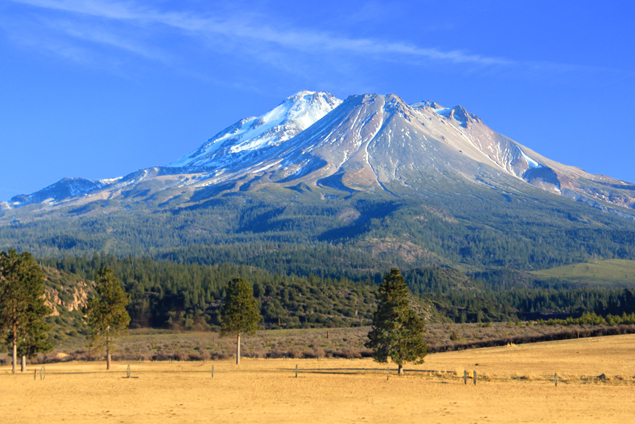 Mount Shasta Facts for Kids. Kiddle Encyclopedia.